A very interesting occasion to appreciate poetry and early music together. Ancient Greek mythology has often been associated with early music and along this idea, two Greek love tragedies – that of Apollo & Daphne and Orpheus & Eurydice – were portrayed. 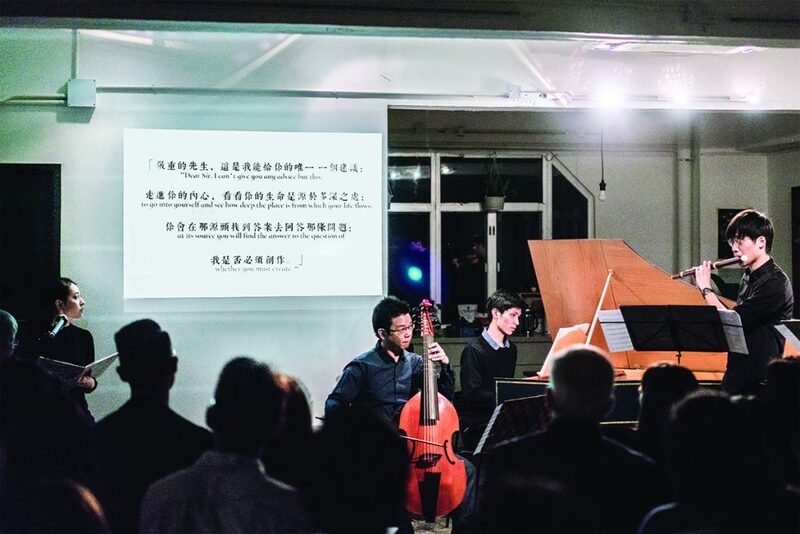 Audience listened to German poems of Rainer Maria Rilke (1875-1926) related to the myths and Alice Yu recounted the stories in Cantonese. 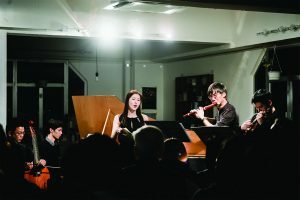 Musicians, including TSANG Yat Ho (baroque flute), Alison Lau (soprano), Sean Lai (baroque violin), LAM Tim Wai (viola da gamba) and Stephen Hung (Harpsichord), illustrated selected musical excerpts from Bach, Monteverdi, Handel, Vivaldi, de La Guerre and Telemann. The programme flow was smooth. The arrangement of poetry-storytelling-music was creative with all the three parts mutually reinforcing each together, giving rise to an experience that was engaging, stimulating and appealing. I was marvelled at the abilities for baroque instrumentations to express emotions given the right music. 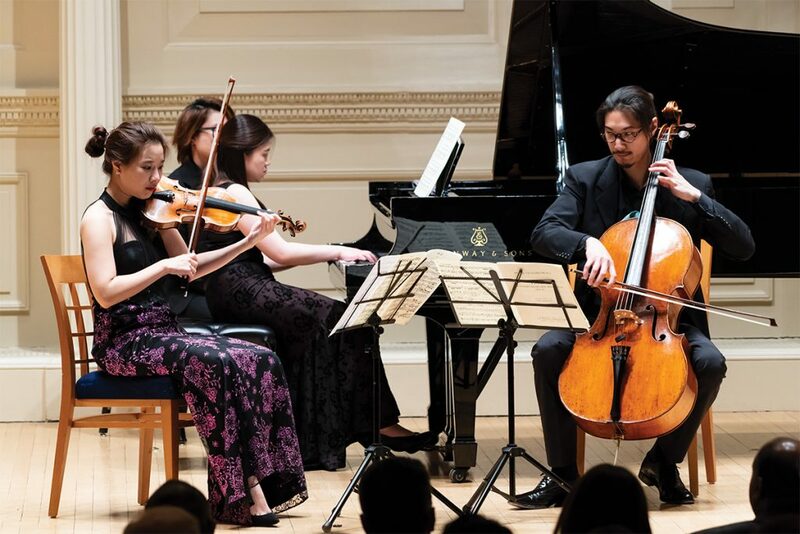 A lovely Friday evening concert at Weill Recital Hall given by Fournier Trio with a programme consisted of Beethoven’s “Ghost” Trio, Fung Lam’s world premiere of “Traces III” and Tchaikovsky’s Trio. Former fellow at Royal Academy of Music, Fournier Trio, with exceptionally strong instrumentalists, demonstrated intonational unity right at the outset. The presentation of the involving Ghost Trio was generous, vibrant and highly charged with theatrically conceived inspiration. The ensemble aptly conveyed the shadowy and romantic slow second movement. 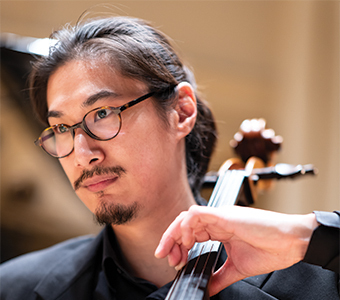 Motivated by the Allegretto movement of Beethoven’s Seventh Symphony, Fung Lam’s “Traces III” was simply the perfect piece to follow the Ghost Trio and wonderfully rendered by Fournier Trio. Tchaikovsky’s only piano trio was written in around 1881. The composer once expressed reservations to his patroness Nadezhda von Meck about blending the sound of piano with violin and cello. Yet, this trio became a masterpiece of the genre (with which Rachmaninoff modelled his Trio élégiaque Op. 9). Cellist Pei-Jee Ng led the trio opening into the main theme with poise and then united with the piano. Violinist Sulki Yu was natural and spontaneous. 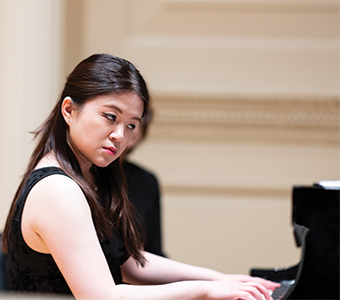 Certain piano parts are known to be more demanding than the composer’s first piano concerto, Chiao-Ying Chang executed that extremely well with much sensitivity. 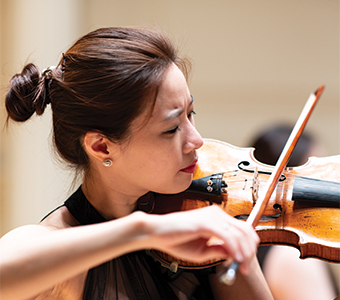 In such a grand piece, both string players managed to present a perfect balance against the substantial piano line, guiding audience into a journey of life, heroic, delicate and yet intimate. Fournier Trio attempted the original version, a seemingly daunting fifty-five minutes work at first glance. Captivated by the genuine sentiment and musicianship of the ensemble, one could only crave for more towards the very end of the finale, reaching emotional climax!